For a person who has never been there, Hawaii can seem like an untouchable paradise where everyone lives on the beach and knows how to surf. But that’s not actually the case. I’ve been fortunate to experience the Hawaiian islands firsthand multiple times throughout my life. Both my parents were born and raised on O’ahu, which means I frequently visited Hawaii it while growing up. Of course, this also meant every time I returned home to California, I encountered many peers who wanted answers about whether their beliefs about Hawaii were true. As it turns out, many people believe things about the islands that are simply not accurate. Here are some of the most common misconceptions people have about Hawaii. MYTH: It’s always sunny in Honolulu. Flickr/aidanmorganIt rains more than you might think. Hawaii may be blessed with beautiful sunshine most of the year, but the state experiences more rainfall than any other place in the US. According to recent climate data, Honolulu sees around 154 days of rain per year. And this past April, The Washington Post reports that nearly 50 inches of rain poured on northern Kauai during a 24 hour period, which set a new weather record. MYTH: Honolulu is the biggest part of Hawaii. Theodore Trimmer/ShutterstockHonolulu isn’t even part of the biggest island in Hawaii. I have often heard people who are flying into Honolulu say that they’re headed for the biggest island in Hawaii. In actuality, Honolulu is located on O’ahu, which is not the biggest island in Hawaii. MYTH: US citizens need a passport to travel to Hawaii. Chase Clausen/ShutterstockHawaii is a US state. Contrary to what some believe, if you are a US citizen, you do not need a passport to travel to Hawaii. It officially became a US state on August 21, 1959. MYTH: Hawaii became a state through a diplomatic process. ShutterstockHawaii once had its own government in place. For years, the islands were ruled by its own monarchy until a coup’d’etat, or a political siege, lead by American citizens who overthrew the queen. After disenfranchising many of the indigenous populations from voting on the process, the US successfully annexed the territory in 1899. It would later become an official state through Senate majority vote, though it was met with resistance and resentment by some indigenous residents. Later, in 1993, former President Bill Clinton signed the “Apology Resolution.” On behalf of the US, the bill apologised to native Hawaiians for overthrowing their kingdom. MYTH: All of the beaches on Hawaii have white sand. Shutterstock.comSome beaches have black sand. Many of the beaches are covered with glistening, picturesque sand blankets, but some have different coloured sands. However, there are some places where you’ll encounter black, red, and even green sand, thanks to erosion from volcanic cinder cones and lava flows. MYTH: Everyone in Hawaii can surf. Kat Wade/Getty ImagesIt’s not for everyone. The famous water sport has been part of Hawaii’s culture for hundreds of years. However, even with its immense popularity, not everyone participates in the wave action. MYTH: Hawaii grows the most pineapples in the world. Flickr/NoelleMost of the world’s pineapples are not grown in Hawaii. Hawaii certainly does grow a lot of pineapples, but not as many as you might think. Smithsonian reports that less than 2% of the world’s pineapple production actually happens there. But, if you want to see some pineapples, you can still visit the famous Dole plantation on O’ahu. MYTH: Waikiki and the island of Maui are the only spots worth visiting. Flickr/Hawaii SavvyEach island is worth exploring. Hawaii is made up of eight major islands: Hawai’i (Big Island), O’ahu, Maui, Kauai, Lana’i, Moloka’i, Ni’ihau, and Kaho’olawe. Each island offers something unique. Maui is typically a honeymooner’s destination because it tends to cater toward younger couples with its luxury resorts, whereas O’ahu is known for attracting families. Plus, Kaua’i and Hawai’i, also known as Big Island, offer incredible visitor experiences year round. Big Island may not have the same hustle and bustle as O’ahu, but it has the world’s most active volcano, Kilauea. And for people who truly want to disconnect during their vacation, Kauai is home to some of the most breathtaking vistas in the world. MYTH: Hawaiian cuisine is exclusively poke and seafood. Flickr/marinate_me_babyHuli Huli chicken is a traditional Hawaiian dish. Though poke has gained a lot of attention outside of Hawaii, the truth is it is only a sliver of what Hawaiian food encompasses. Due to strong Filipino, Japanese, and Portuguese influences, the islands offer a wide range of very unique cuisine. For example, Kalua pig is a very popular pork dish that you’ll commonly see served at luaus or other celebrations. It has a salty, smoky flavour that pairs perfectly with hot, steamed rice and a heaping scoop of macaroni salad. Beyond poke, other traditional Hawaiian foods also include Huli Huli chicken, Lau Laus, spam musubi, and more. MYTH: Everyone from Hawaii is Hawaiian. Flickr/Daniel RamirezWhether or not someone is Hawaiian has to do with ancestry. “Hawaiian” is actually the term you should use to refer to indigenous populations from the Hawaiian islands. To say someone is “Hawaiian” when they do not have Hawaiian roots in their lineage is incorrect, and oftentimes considered offensive. The correct term to use when talking about people who were born and raised on the islands is “local.” When it comes to ethnic demographics, Hawaii has a mix of Asian, Black, White, Pacific Islander, and Latinx populations. MYTH: Most of Hawaii speaks Hawaiian. tropicdreams/ShutterstockMost people don’t speak it fluently. According to SAIVUS, less than 1% of the island’s population can actually speak fluent Hawaiian. However many locals use an unofficial dialect called Hawaiian Pidgin. Pidgin is essentially a simplified version of English that grew from being used on Hawaii’s plantations in the 19th century. MYTH: The state flag is the same as England’s. Flickr/scazonBut, both flags contain a Union Jack. Not quite. The state flag includes Union Jack, the national flag of the UK, in the upper left corner to honour Hawaii’s friendship with the British. The rest of the flag contains eight horizontal stripes, with each one representing one of the major Hawaiian islands. MYTH: Summer is the most expensive time to travel to Hawaii. Justin Sullivan/Getty ImagesWinter is actually considered to be the high season in Hawaii. According to Hawaii Guide, peak tourism season begins in December. Winter is considered the high season on the Hawaiian islands and therefore the most expensive time to travel there. MYTH: When you get off the aeroplane in a Hawaii, a stranger greets you with a lei. Getty/Bob Riha, JrThis probably won’t happen unless you arrange for it in advance. Old advertisements may be to blame for this one. 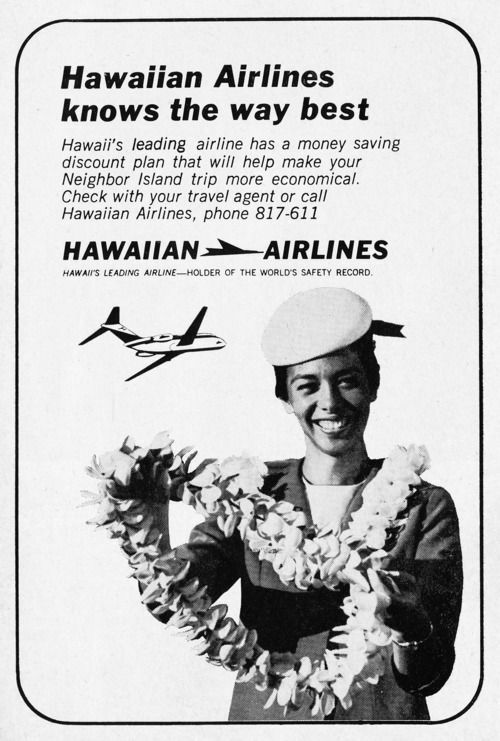 For a long time welcoming tourists with a floral lei was a common practice. However, this is no longer the case as millions of people visit the islands every year. You can definitely experience a traditional greeting if you want one, but you’ll have to pay and arrange for it ahead of time. MYTH: Beaches are the only reason people visit Hawaii. Wikimedia Commons/Robert LinsdellThe The World War II memorial to the Pearl Harbour is a common place for tourists to visit. It’s no secret that the islands are home to some of the most spectacular, world-renowned beaches. However, these are not the only attractions worth seeing. The World War II memorial to the Pearl Harbour, along with The National Memorial Cemetery rank two of the most visited places on O’ahu on Trip Advisor. In addition to these historic sights, the islands are home to many famous hiking trails, like the Kalalau on Kauai, and Kilauea Iki on Big Island. MYTH: Shave ice, one of the island’s most popular treats, is the same thing as a snow cone. istargazer/FlickrShave ice is very different from a snow cone. Yes, both shave ice and snow cones involve ice and sugary, syrupy toppings. However, The main distinction between the two comes down to texture. Shave ice is made with fluffy, soft ice, while snow cones are typically made with ground ice cubes, thus giving them a coarser texture. Shave ice is also more decadent than snow cones. You’ll find many vendors adding sweetened condensed milk to their concoctions. MYTH: Everyone in Hawaii lives in a beach house with a view. Flickr/pasaNot everyone in Hawaii lives on the beach. Not everyone lives in big, fancy beach villas. It just isn’t possible- the city of Honolulu is the fourth most densely populated metro area in the country. Some Hawaii residents live in the suburbs or in high-rise apartment buildings. And for many people who reside in more inland cities, a drive to the beach can take up to 40 minutes. MYTH: Every celebration in Hawaii is a luau. Flickr / tweber1Not everything calls for one. A common misconception is that the Hawaiian word “luau” is interchangeable with the English word “party.” Today, luaus are beautiful representations of Hawaii’s cultural traditions. They usually include the feast and other entertainment, like hula dancers. The word ‘luau’ itself originally referred to the name of the dish served at major celebrations hosted by Hawaiian people in the 19th century. Even though the definition has expanded over the years, it’s important to remember that throwing a party on Hawaii does not automatically make it a luau. Typically, people will host luaus for major life events like first birthdays, graduations, and weddings, but even that is not always the case. MYTH: Living in Hawaii is easy. Flickr/navfacHawaii residents still go to work. While Hawaii has many perks, it’s not always easy to live there. According to Expatistan, living in Hawaii doesn’t come cheap – for example, a dozen eggs typically costs around $US5.23. The important thing to remember is that living in paradise comes with a significant price tag.